Microsoft wants to defeat their nemesis Google with a new search engine called 'Bing.' Which is a cool name I suppose since it instantly makes you think, "Bada-bing!" Maybe it will wind up the Wise Guy search engine of choice. 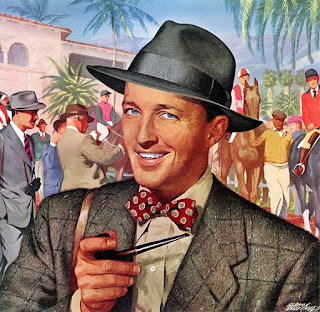 But in the back corridors of my mind I hear the dim undertones of another 'Bing' it reminds me of: 'Der Bingle' himself, Bing Crosby. Buh-buh-buh-boo, Buh-buh-buh-boo, "I'm dreaming of a Microsoft Christmas/just like the ones I used to know..."
Granted Wired didn't think of it so maybe he's drifted out of the public consciousness forever, but most likely not. Do you really want to risk it, Mr. Ballmer?